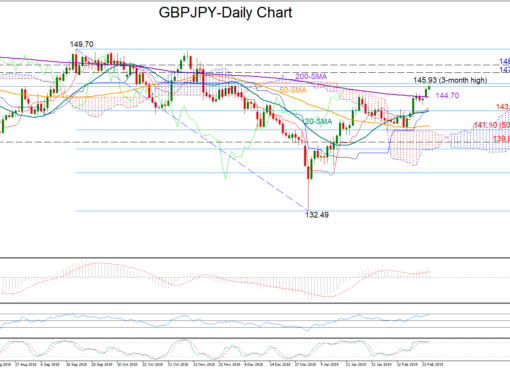 GBP/JPY retreats from 7-week high; holds in an upward sloping channel. 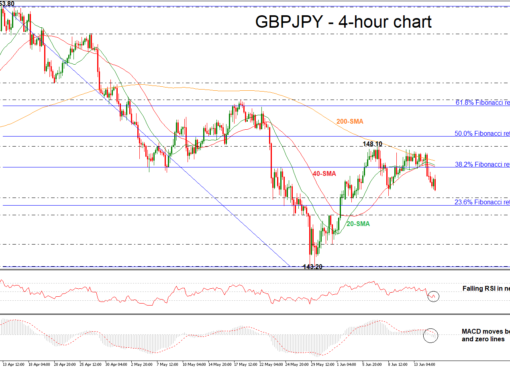 GBP/JPY has rebounded somewhat from the seven-week high of 144.20 that it reached earlier today. 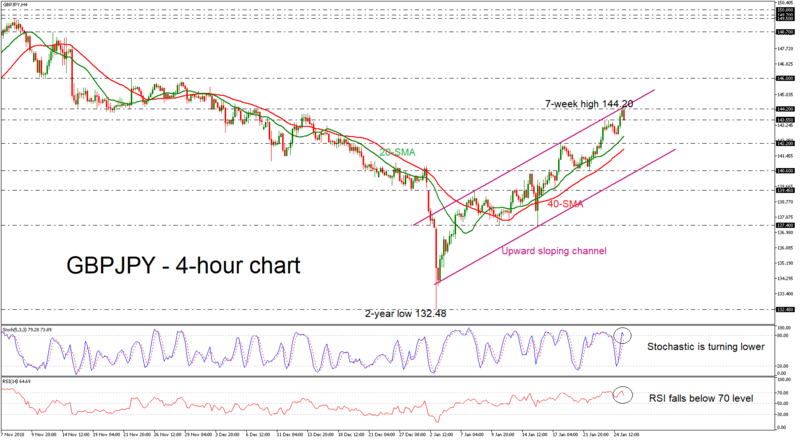 Currently, the price has been stuck in a channel tilted to the upside following the pullback on the more than two-year low of 132.48. 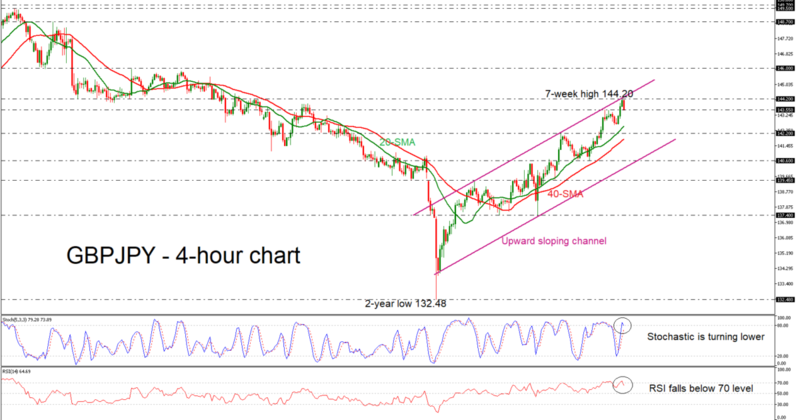 The stochastic oscillator is turning to the downside and the RSI has slipped below the overbought level and is approaching the neutral threshold of 50. 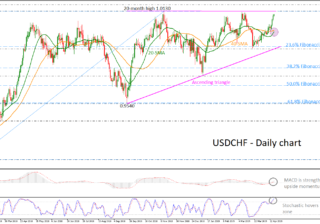 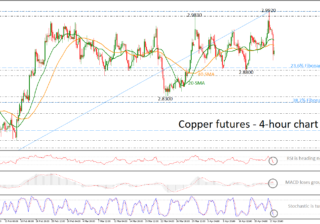 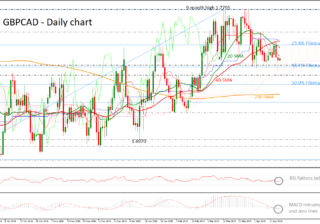 Should the pair manage to strengthen its positive momentum, the next resistance could come around the 146.00 strong psychological level, where it topped on November 22. If there is a break above this region, the next target could come in 148.70, taken from the high on November 13. 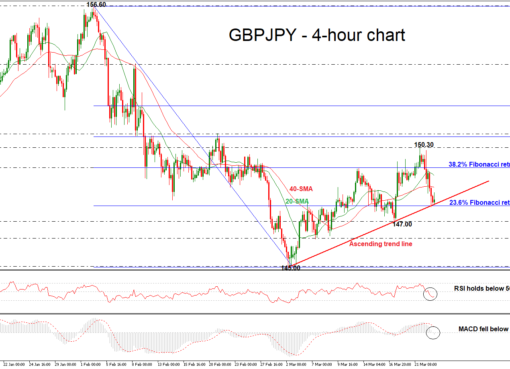 Having a look at the bigger structure, GBP/JPY is trying to switch the bearish structure to a more bullish one but first needs to jump above the 146.00 area.